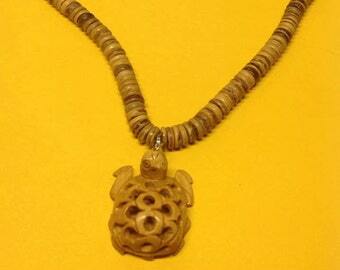 Authentic Shell necklace. 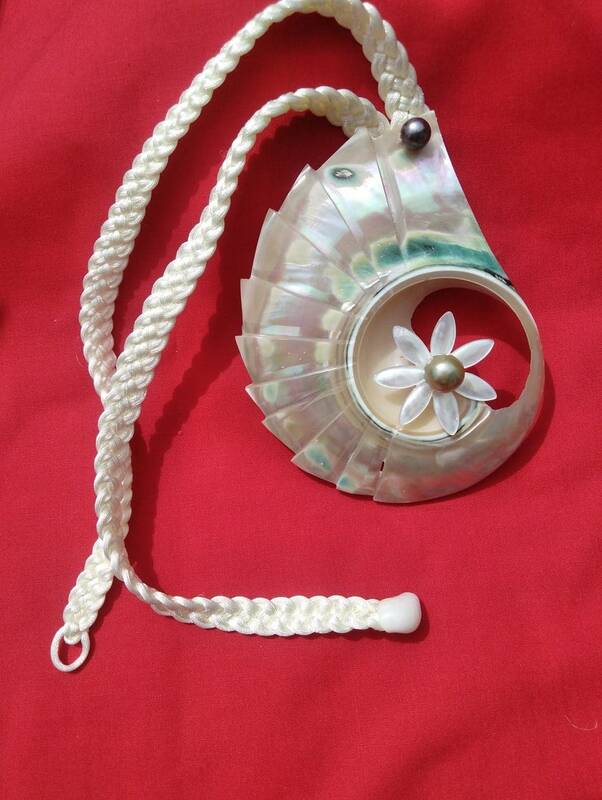 Shell measures approximately 4.55" x 3.62"
Made with Genuine Natural shells. Shell measures approximately 4.55" x 3.62"
Great necklace that will last for years ...a wedding, gift. This beauty measures 22" - 23"" inches around your neck. And are very popular in the Polynesian Island! 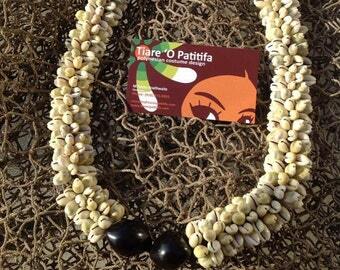 Cowrie Shells Necklace.. Shells Measures Approximately 3/4" To 1 1/2 For Both Male And Female Of All Ages. Cord Can Be Black Polyester!! 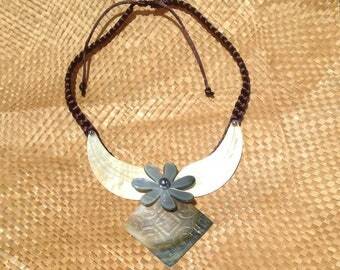 Carved Mother Of Pearl Shells Necklace. Perfect For Preteen, Teens & Adults. Handmade Cowrie Shells Necklace Or Hair Tie/Band.. Perfect For All Ages!! Measures Approximately 24" Long. Wood Necklace. Measures 18" Long With A 46 mm Wood Turtle. 3" CARVED Mother of pearl shell & fresh water pearls. Cowrie With White Dove Shells Necklace. Authentic Sea Shells Necklace. Wood And Sea Shells Necklace. Perfect For Both Male & Female! Mother of pear shell necklace Shell Necklace. Set Of 5 Children Half Fringe less Solid Color Sarong, Pareo. Any Five Colors. Pareo Measures Approximately 43" Wide And 14" Long. 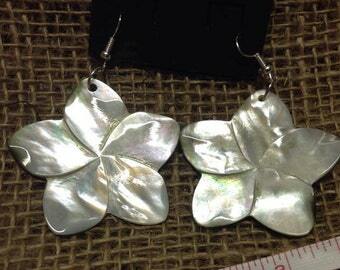 Flower Mother Of Pearl Shells Earrings. Flower Measures Approximately 2"!! 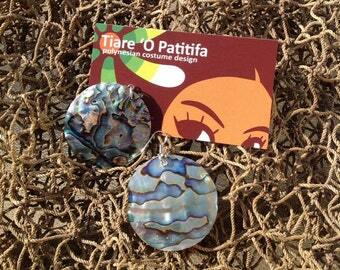 Inlay Abalone/Paua Shells Earrings. Measures Approximately 1.5". Feather And Shell Necklace, Choker Or Arm Band. For Both Male & Female Of All Ages!! Choose Any Color!! 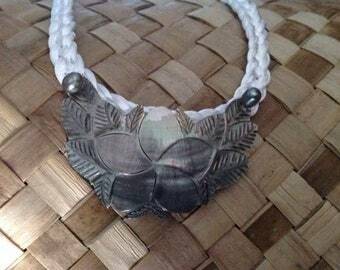 Tahitian And Cook Islands Neckpiece.